The Manza is struggling to keep pace with rivals in its segment, fuelling the possibility that Tata Motors may put its only mid-sized sedan on the backburner. In the first six months of the year, the Mumbai-based automobile company has managed to sell only 776 units of the Manza, a drop of 26 per cent from 1,054 in the same period last year. The average monthly sales volume for the Manza this year has been 130 units. By comparison, the Honda City, the bestseller in the segment, sold an average 5,841 units a month and reported an almost 200 per cent annual sales growth in the first six months. While the City controls 45 per cent of the market in the segment, the Manza’s share is only one per cent. According to a senior Tata Motors official, the company is taking aggressive steps to correct its product portfolio, with a more 'cleverly defined and targeted strategy'. It recently phased out the first-generation Nanos from the market to make way for the upgraded Nano Twist and Nano eMax variants. The Manza also faces stiff competition from foreign brands – Hyundai’s Verna, Skoda’s Rapid and Volkswagen’s Vento clock much higher sales. A senior executive at Tata Motors’ Ranjangaon plant in Pune, where the Manza is manufactured, said: “Production of the Manza has gone down significantly. It is produced intermittently, with little demand from dealers. 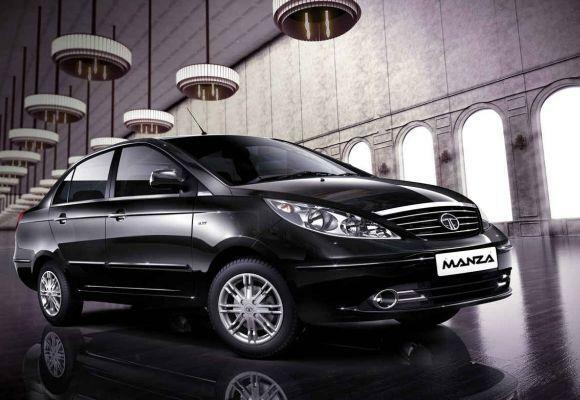 A Mumbai-based Tata dealer said, “There is no demand for the Manza at present. Launched in 2009 as the Indigo Manza, the car was built on an entirely new Rs 2,000-crore (Rs 20-billion) platform that also served the Vista hatchback. Tata Motors dropped the Indigo moniker two years later, after a minor facelift to the sedan. The Manza was positioned as a more expensive elder sibling of the Indigo and Indigo XL sedans, with petrol and diesel engines purchased from the Tata-Fiat manufacturing joint venture. Sources said the company was now putting its focus behind the Zest sedan, which has been received well in the market. This model is the latest from Tata Motors, which is struggling to arrest a slide in its share of the passenger vehicle market. Motors’ immediate focus, however, is to streamline production of the Zest, as its customers currently have to wait for up to six months to receive the car. The automated manual transmission version of the car, sold with a diesel engine, has an extended waiting period because of problems in procurement of AMT kits. A spokesperson for Tata Motors said: “The Manza and the Zest address two completely different segments. Tata Motors has only Manza in a segment that has Toyota Etios, Chevrolet Sail and the Ford Classic. Based on the J300 platform that also housed the shell of the Indica Vista, the Indigo Manza (as it was known earlier) was larger and wider than the earlier Indigo. The regular Indigo went out of production with the launch of the Manza, with only the CS (sub four metre compact sedan) kept in production. Tata Motors progressively phased out the station wagon Indigo Marina. The Manza was a level above the all the cars offered by Tata Motors offering much better quality than the outgoing Indigo. 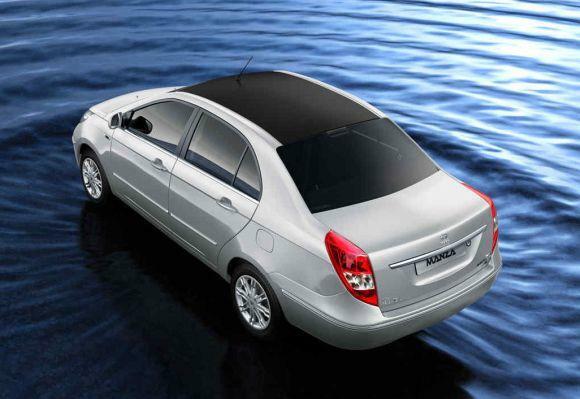 In addition to being the most spacious, the Manza had better quality materials, fit and finish. In 2012, the company introduced a premium version of the Manza naming it Club Class Manza offering features like automatic climate control and leather upholstery, a first in the segment. The company upped the ante providing dedicated professionals and space in showrooms to offer a sense of exclusivity to the customer. The Club Class Manza was also one of the few models and the first to be launched by Tata Motors’ late managing director Karl Slym.